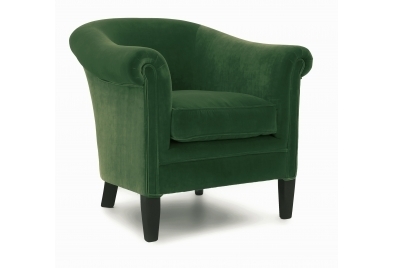 Hoots is a very sociable, victorian Leather Tub Chair. Now I'm not quite sure where her name comes from but much like her gorgeous, hand finished Original Leather, it most definitely suits. Hoots is usually found standing around in a little group in club rooms, in bars or in private lounges. She's the clubbiest Leather Tub Chair you'll ever meet. It's her deep, comfortable seat that makes Hoots so sociable, and with rolled arms curved into a rounded, sprung back she's pretty perfect to sink into. Hoots is a very sociable, victorian Leather Tub Chair. Now I'm not quite sure where her name comes from but much like her gorgeous, hand finished Original Leather, it most definitely suits. Hoots is usually found standing around in a little group in club rooms, in bars or in private lounges. She's the clubbiest Leather Tub Chair you'll ever meet. It's her deep, comfortable seat that makes Hoots so sociable, and with rolled arms curved into a rounded, sprung back she's pretty perfect to sink into. Oh gosh, you just wait until you see her with her friends! Talking of friends, if you haven't met her best one Daisy yet then you really should, she's a bit younger than Hoots so whilst she's out in the evening socialising you'll often find Daisy in her bedroom reading a magical bedtime story or dreaming the night away. 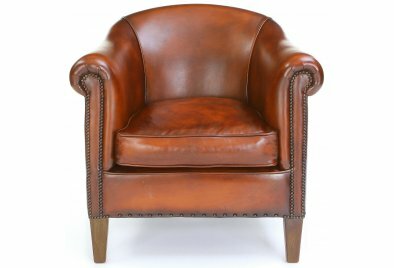 If you’re a fan of the Hoots leather chair - and why wouldn’t you be? - make sure to explore the full selection of leather club and wingback chairs. From leather armchairs to pairs of leather chairs, you’re sure to find the perfect new addition to your home with Old Boot Sofas.